This 3 week will take you to the highlights of Vietnam & Thailand, which include Hanoi - Ha Long Bay - Hue old citadel - Hoi An ancient town - Saigon - Mekong delta - Bangkok - Hua Hin, with a good insight into the interesting history, rich culture, impressive architecture, friendly people. Aside from it, our selected services will surely fulfill your needs. You will take your 4 hour private transfer on a countryside road through the paddy fields towards Ha Long Bay, one of New Seven Natural Wonders. Upon arrival at the harbor, you will board a traditional boat – set sail through the limestone islands – have a nice seafood lunch – take a sampan ride to visit a traditional fishing village – attend a short cooking class - settle down on the upper deck for some drinks whilst watching the sunset – enjoy a delicious dinner. The rest of the day is your leisure. Why not play cards, try your luck at fishing, watch movies or simply enjoy some drinks and chat with your friends at the bar on board. After breakfast you will take a 3 hour drive south along the coast road with stops at the top of Hai Van pass (Cloudy Pass), the Cham Sculpture Museum, Non Nuoc Beach, and Marble Mountain. Then proceed to Hoi An. Upon arrival, check in the hotel for refreshments before an in-depth walking tour of the most interesting sites in Hoi An, which include the Japanese Covered Bridge, Chinese Assembly Halls, Tan Ky Ancient House, and The vibrant market. Afterwards return to the hotel for refreshments before a nice dinner in the local restaurant in the ancient town. The rest of the day is yours. There will be more free time for you today as it is the jewel in anyone’s visit to this ancient town. You may like to unwind at one of the most beautiful beaches or simply wander the street stalls selling paintings, woodwork, ceramics, lanterns and much more. This ancient city is also well-known for its talented tailors who can make beautiful items to order within a few hours. Bring your favorite piece of clothing, or even just a picture, and you'll be able to have it copied. Today you will be transferred to Da Nang airport for your 1 hour and 20 minute flight to Saigon City, which is a fast-paced metropolis full of contrasts and is very much the heart of Vietnamese business and entrepreneurial activity. 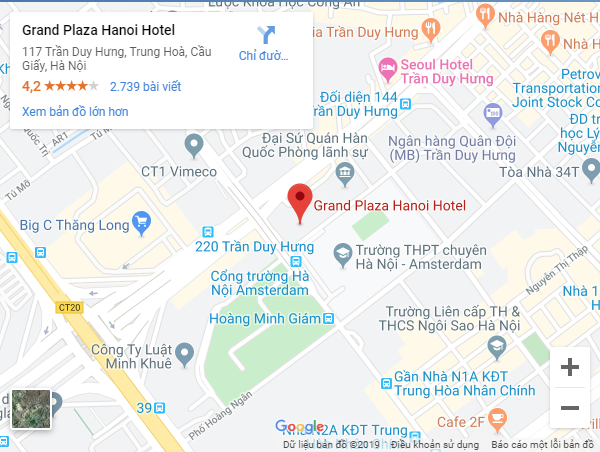 Upon arrival in Saigon, you will be met and transferred to the hotel. The rest of the day is at your leisure. Today you will take a 3 hour drive to Ben Tre. Upon arrival, you will: visit a brick factory – board a traditional style boat for a scenic cruise along the Mekong River – make some stops at local houses along the way – hop on bikes for a leisurely ride through the countryside – lunch in a traditional Mekong village restaurant - board a motorboat to explore more of the Mekong Delta. Afterwards return to the car for your transfer to Cai Be. The rest of the day is yours! Up early - sunrise - board a sampan to visit the Cai Rang floating market, where hundreds of local boats drift along the Mekong River to sell and buy local agriculture products. After your early cruise, you will return to the hotel for your breakfast before taking a drive back to Saigon. The rest of the day is yours. You may like to wander the streets for more exploration of the city by yourself. Today you are free until your transfer to the airport for your short flight to Bangkok. Upon arrival, you will be met and driven to the hotel. The rest of the day is yours. After breakfast - visit Jim Thompson House, a Pioneer in Thai Silk industry converted into a museum - proceed to Suan Pakkard Palace, a complex of five traditional Thai Houses overlooking a beautifully kept garden - the rest of the day is at yours leisure. After breakfast - transfer to Nakorn Pathom Province - visit Phra Pathom Chedi - continue to Sanam Chan Palace - return to the hotel - the rest of the day is at your leisure. After breakfast - visit Wat Pho, the temple of Reclining Lord Buddha Image - walk to Phra Maha Chedi Si Rajakarn, a group of four huge pagodas surrounded by a white wall - proceed to the Thai Traditional Medical Science School and Body Massage - transfer to a floating restaurant for lunch - continue to Wat Trimitre, Temple of Golden Buddha Image - visit the nearby vibrant Yaowarat Market - enjoy some Chinese food - return to the hotel - the rest of the day is yours. After breakfast - drive to Petchaburi Town - upon arrival, visit the Khao Wang (Palace Hill) is located up on a 92-meter high verdant hill - continue to Khao Bandai that offers several stunning natural attractions such as Tham Prathum, Tham Phra Chao Sua, and Tham Phra Phuttha Saiyat - drive to Hua Hin - upon arrival check in at the hotel - the rest of the day is at your leisure. After breakfast - transfer to Hua Hin, which is very popular for its clean white sand, crystal clear water and a tranquil atmosphere - enjoy a superb seafood lunch at a well-known restaurant - continue to Klai Kangwon Palace - continue to Khao Takiap Vantage Point - visit a temple called Wat Khao Takiap situated on top of the hill - return to the hotel - the rest of the day is yours. Today you will visit te beautiful 11-tiered rock waterfall is located in the densely verdant forest in the area of Kaengkrajan National Park - in the late afternoon, return to the town for visit at Hua Hin Railway Station - take a look at the splendid Royal Waiting Room constructed in the Thai architectural style - visit the Hua Hin Night Market - return to the hotel - the rest of the evening is yours. After breakfast - free at leisure until the check out time - transfer to Bangkok Airport for your departure flight.